Friday evening, September 29th, Downtown SLO kicked off their inaugural Sip 'N' Saunter event which brought together the very best of SLO's local businesses for a great night out on the town. Our favorite wineries, breweries, and restaurants partnered up with local retailers including us here at Just Looking Gallery. 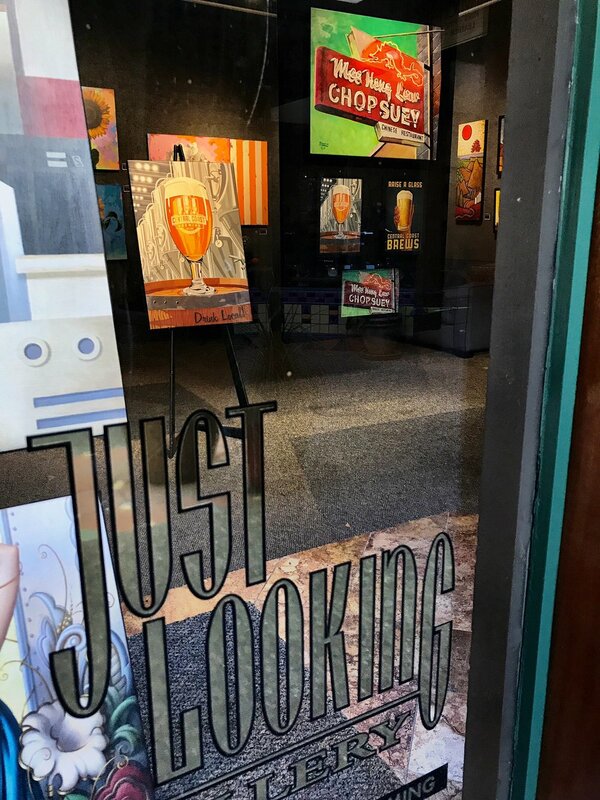 We had a wonderful time working with our good friends from the savory and iconic Mee Heng Low Noodle House and Central Coast Brewing who's home-crafted, mouth-bubblin', bottle-poppin' brewskis made the gallery a stop on everybody's list! From 5 to 8 pm couples on a date, parties from work, large groups of friends, locals and visitors packed downtown for a memorable night of SLO-style fun!